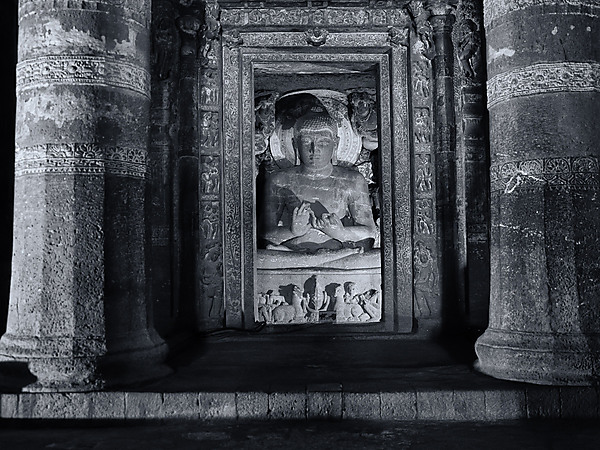 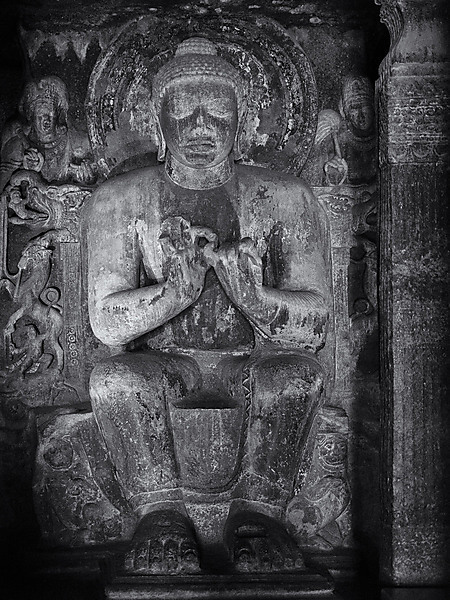 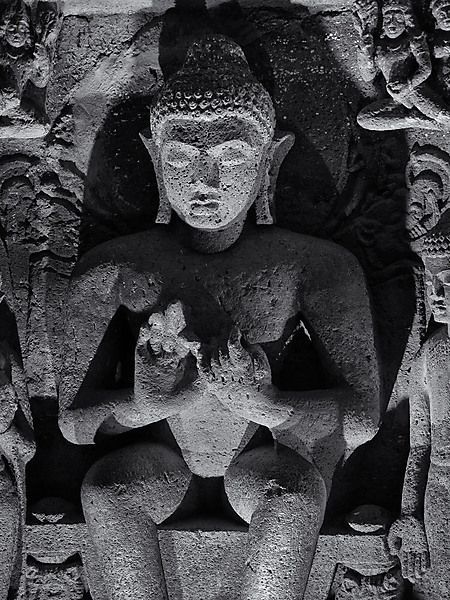 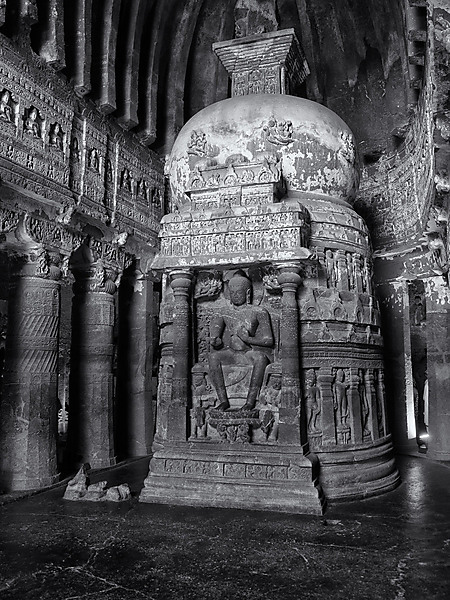 The Ajanta Caves are Buddhist monuments that were created between 200 BCE and 650 CE. 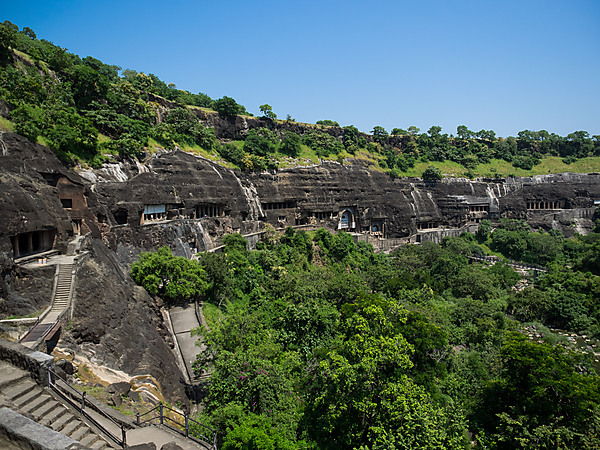 The caves are most famous for the cave paintings in the last built caves. 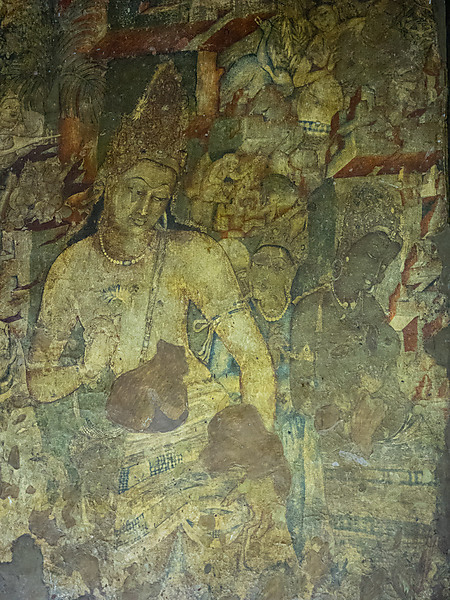 The paintings are impressive but I enjoyed the stone work more than the paintings. 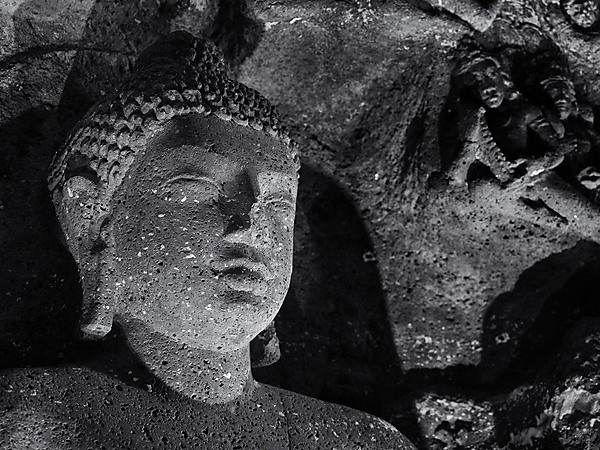 The caves are in horseshoe layout. 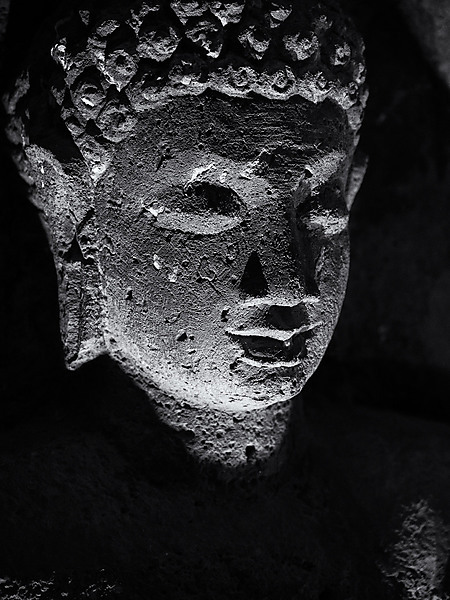 Visitors start at the end with the cave paintings and work their way around the caves. 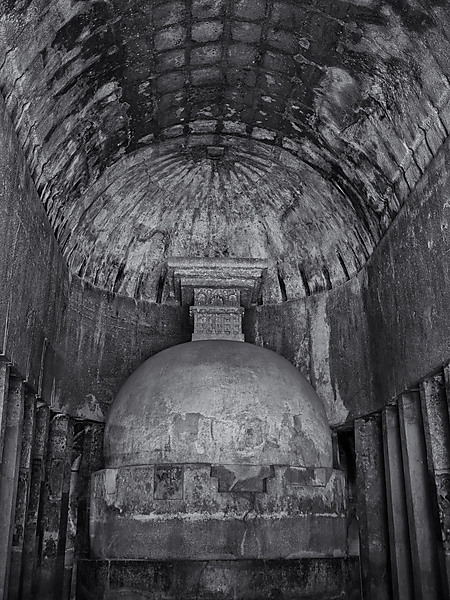 My favorite of all the caves was the last one, cave 26. 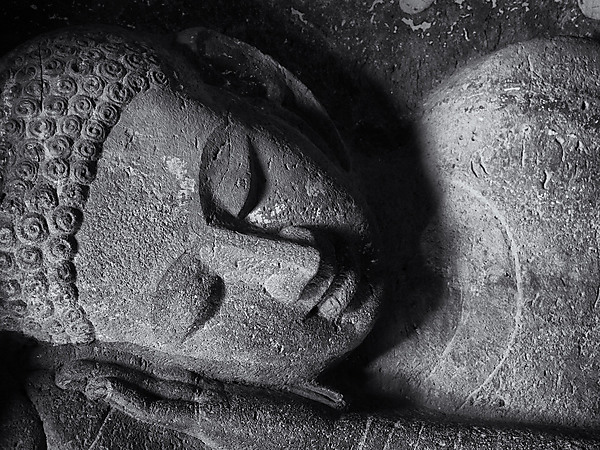 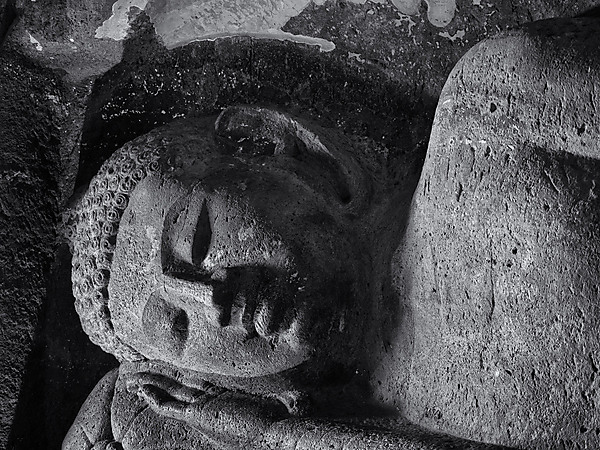 Cave 26 has the most extensive stonework of all the caves, including a sleeping buddha.